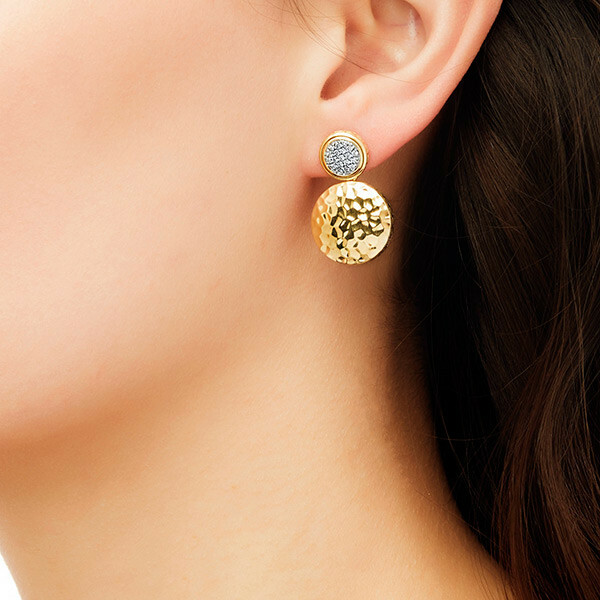 The refined look of these John Hardy earrings from the Palu collection will elevate your style easily. 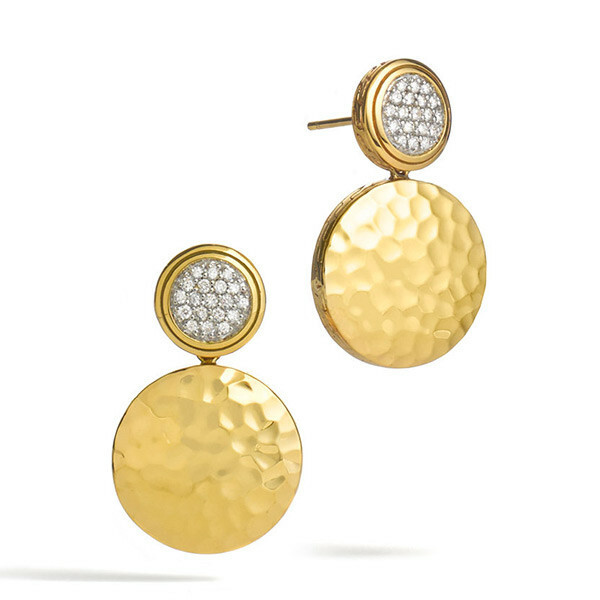 A button of 18kt yellow gold that is embellished with alluring white diamonds drops an 18kt yellow gold disc that is gently hand hammered with the Palu motif and trimmed with the classic chain design to finish the look. Post backings will comfortably hold these stunning earrings in your ears while those around you become infatuated with your chic John Hardy look.